Thank you evenko for bringing us some Broadway musicals again. 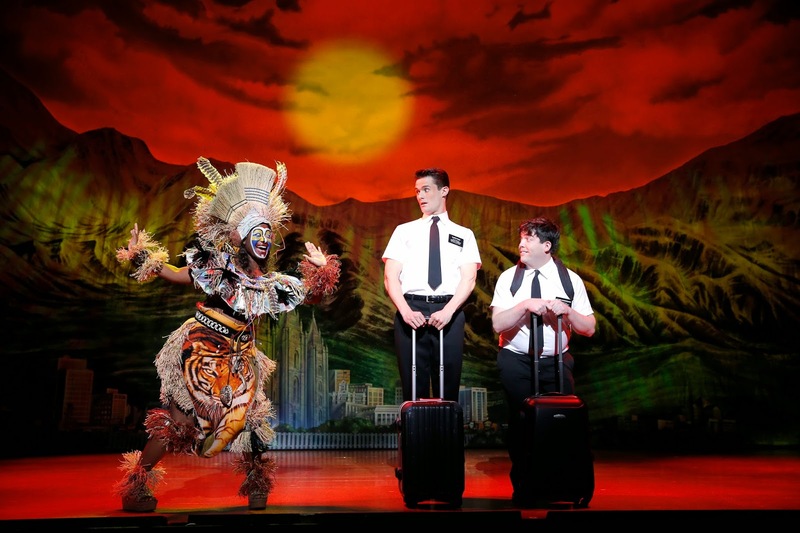 While the Lion King graced the stage of the Place des Arts last summer, the national tour of The Book of Mormon has now arrived. I was on hand Wednesday for the second of eight performances and the show was everything I expected it to be: controversial, hilarious and unforgettable. Next up will be Jersey Boys January 6 to 11. 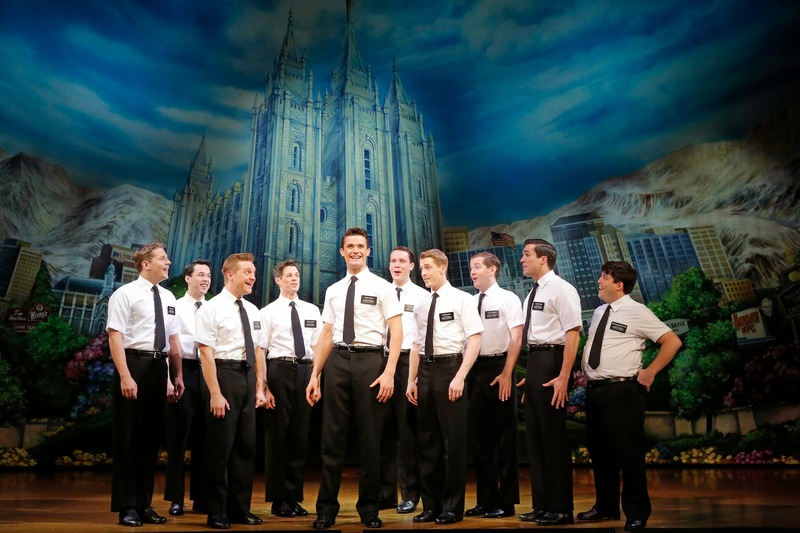 The Book of Mormon won nine Tony Awards, including Best Musical. It is on here until December 7 and includes a pre-show lottery at the box office, making a limited number of tickets available at $25 apiece. The wildly popular lottery for the Broadway production has attracted as many as 800 entries at some performances. The producers are offering low-priced lottery seats for every city on the National Tour. 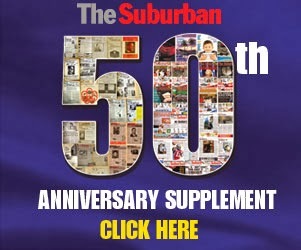 Entries will be accepted at the box office beginning two and a half hours prior to each performance; each person will print their name and the number of tickets (one or two) they wish to purchase on a card that is provided. Two hours before curtain, names will be drawn at random for a limited number of tickets priced at $25 each. Only one entry is allowed per person. Cards are checked for duplication prior to drawing. Winners must be present at the time of the drawing and show valid ID with photo to purchase tickets. Limit one entry per person and two tickets per winner. Tickets are subject to availability. The Book of Mormon is bound to offend and entertain you. As for those nine Tonys, they included Best Musical, Best Score (Trey Parker, Robert Lopez, Matt Stone), Best Book (Trey Parker, Robert Lopez, Matt Stone), Best Direction (Casey Nicholaw, Trey Parker), Best Featured Actress (Nikki M. James), Best Scenic Design (Scott Pask), Best Lighting Design (Brian MacDevitt), Best Sound Design (Brian Ronan) and Best Orchestrations (Larry Hochman, Stephen Oremus). The Book of Mormon follows two young missionaries who are sent to Uganda to try to convert citizens to the Mormon religion. One missionary, Elder Price (Gavin Creel), is an enthusiastic go-getter with a strong dedication to his faith, while his partner, Elder Cunningham (Christopher John O'Neill in a knockout performance), is a socially awkward but well meaning nerd whose tendency to embroider the truth soon lands him in trouble. Upon their arrival in Africa, Elders Price and Cunningham learn that in a society plagued by AIDS, poverty and violence, a successful mission may not be as easy as they expected. This show was a real crowd pleaser. People were laughing non-stop and at the end the standing ovation was expected and well deserved. This touring cast knocked the ball out of the park. I can't imagine their counterparts on Broadway being that much better. Book of Mormon was booked by evenko about a year ago and this was worth the wait indeed. I am anxious to see Jersey Boys and look forward to more large-scale productions coming to town. When I was 18 years old and a rookie reporter for a newspaper called The Sunday Express, I was assigned to go to the old Montreal Forum and interview Canadiens legend Jean Beliveau, who passed away December 2. He was vice-president of corporate affairs at the time, following a Hall of Fame career which saw him score 507 goals and add 712 assists over 20 seasons and 10 Stanley Cup wins. From this meeting onwards he always remembered my name. My last encounter with Jean Beliveau in April 2013. Just under two years ago I had a chance to visit with Jean at his South Shore condo for a video I was doing as a tribute to community leader Roy Salomon, an honouree at the Cummings Jewish Centre for Seniors Foundation Sports Celebrity Breakfast. Beliveau had accompanied Salomon twice to Israel for the Maccabiah Games. Beliveau successfully battled cancer more than a decade ago and was still recovering from a stroke when we visited. I told Jean that my dad Larry had passed away seven month earlier. He apologized for not being aware. "Larry and I were from the same era," he said, remembering the many years my dad covered the Canadiens for local radio stations and United Press International. Yes that is me at the right receiving a trophy from Jean. Neil Denbow is the photographer. 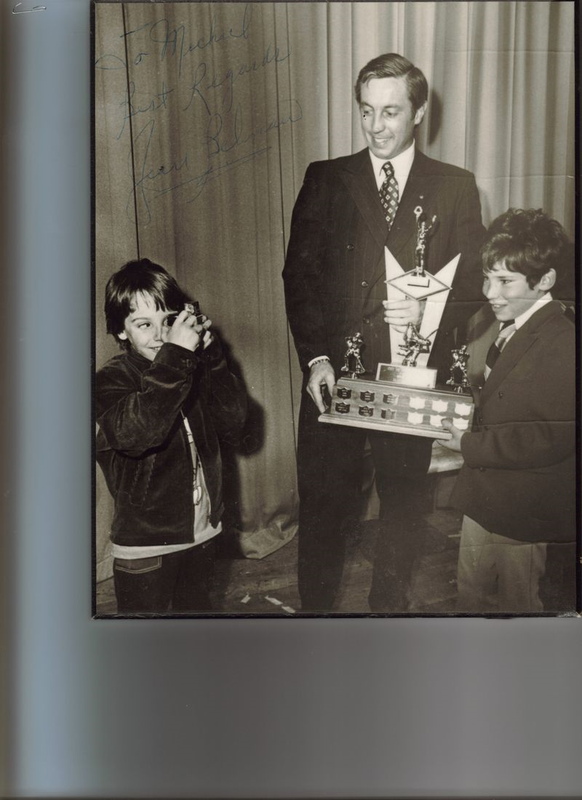 So close was my dad with Beliveau that he managed to have him attend the Côte Saint-Luc Minor Hockey Association Awards Banquet. Unlike today`s generation of players, he attended with pleasure and of course did not expect a penny in return. On this day I think of the many Beliveau fans, notably my friend Cheryl Nashen. When I first met her some 25 years ago and we got talking about hockey it was all Jean Beliveau. She could often be seen around town wearing the fabled Canadiens number 4 jersey. On important family occasions, she even made attempts to invite him. She came close a few times. There will never be another Jean Beliveau. That I am certain of. Rest in Peace "Le Gros Bill." Here is a clip of a Beliveau goal. There is a new leadership group at the helm of the YM-YWHA Montreal Jewish Community Centres, with Andrea Rosenbloom assuming the role of president, Alvin Fagen as vice-president and Marla Gold as executive director. Rosenbloom succeeds Joel Shalit. 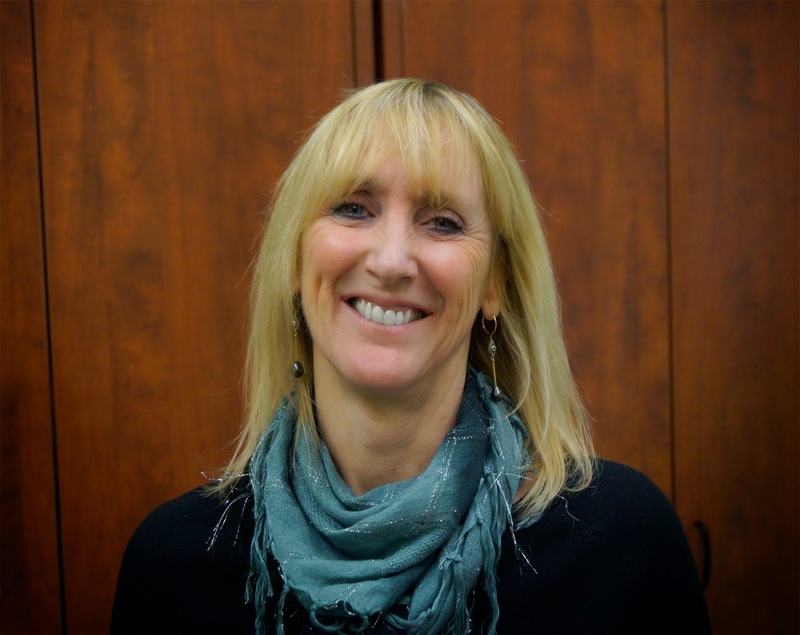 She has served in a lay leadership capacity at the Y in various roles, most recently as its vice-president. Fagen is a past president of theShaare Hashomayim Synagogue in Westmount. Gold previously served as Director of Health, Fitness, Membership and Recreational Services at the Y. Most recently, she was the vice-president, Quebec and Atlantic Region, for Health Systems Group, where she had significant oversight functions. She is intimately aware of where the Y has come from, and where its future lies: in renewal and growth, in offering the highest standard of services and relevant programming, engaging youth, and ensuring that the Y remains a central gathering place for our community. Rosenbloom and Gold share a vision for the Y. They expect it to be run with fiscal responsibility, in a professional, efficient manner. “Everyone is part of this process,” stated Gold. Gold effectively replaces Marlene Jennings, who was hired as executive director amid much hoopla following a lengthy term in office as the Liberal Member of Parliament for NDG- Lachine. Shalit's term ended on a challenging note, with the closure of the West Island Jewish Community Centre. Members there battled for the facility to remain open, but they were unsuccessful. The Y still remains a hub for the Jewish community. With United Talmud Torah-Herzliah building a new campus as part of the same facility, this could breath new life into an organization which continually must battle the private health clubs in the city.